ITANAGAR, Dec 27: Prime Minister Narendra Modi’s apparent push for Hinduization is being continued with the latest chapter involving a nationwide official invitation from the Uttar Pradesh government to all the states to participate in the Kumbh Mela which starts at Prayagraj on 15 January next year. The Kumbh Mela is believed to be biggest cultural and religious immersion event in the world. It is said that more than 20 crore people are taking part next year. The Yogi Adityanath government has set off Minister of State (Independent Charge) for Rural Development, Mahindra Singh, on a whirlwind tour of the Northeast region with the invitation. 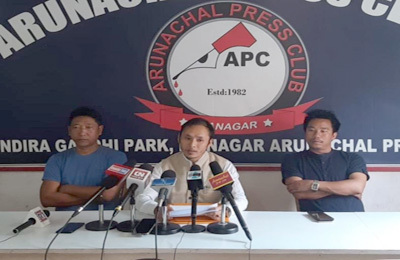 Singh, who arrived in Itanagar on Thursday, addressed media persons at the press club, and on behalf of Modi and Adityanath invited the people of Arunachal Pradesh to take part in the holy dip at the Prayagraj Kumbh Mela. “Kumbh aptly represents the glorious traditions of India. The people will get an opportunity to get connected with their celebrated past through the Kumbh,” Singh said. People from over 92 countries would be taking part in the holy dip, Singh said, adding that the ambassadors of 71 countries have witnessed the preparations for the grand event. “They unfurled the national flags of their countries on the bank of the Triveni in the Kumbh Mela area,” he said. The MoS informed that Rs 4200 crore is being spent in instating roads, bridges, drinking water, electricity, tourism development, etc, in view of the mela. 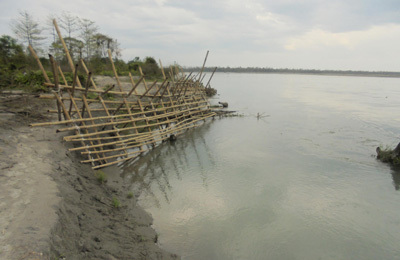 “Campaigns are on in full swing everywhere to ensure that the banks of the Ganga and the Triveni remain clean and the water of the Ganga remains pollution-free. Swachchh Bharat Mission and the Namami Gange project are being successfully executed in Prayagraj,” he said. Stressing on hygiene, Singh informed that 1,22,000 toilets have been constructed and a sanitary staff comprising more than double the number of workers in the previous Kumbh have been deployed at the Prayagraj Kumbh. 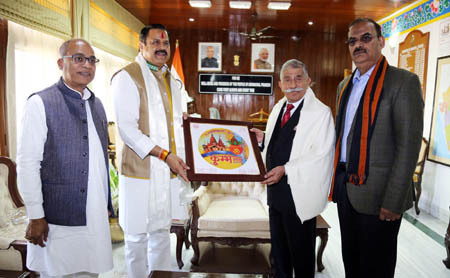 Earlier, the MoS along with his officials called on Governor BD Mishra and Chief Minister Pema Khandu separately, and invited them on behalf of the UP government to take part in the mela. The two also discussed various bilateral state issues including the ‘Ek Bharat Srestha Bharat’ programme.